Significant Price Drop! 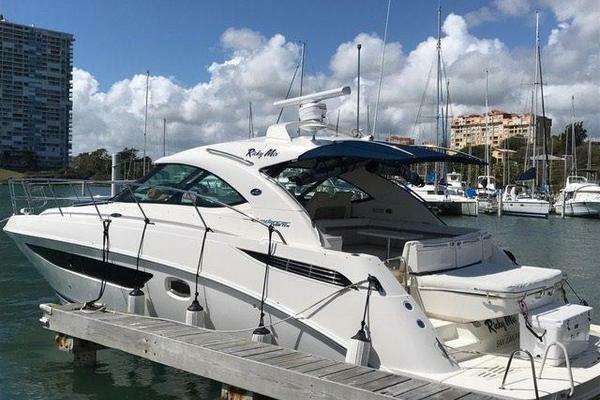 Super LOW hours <250 Engines, includeshydraulic swim platform Turn your dreams into life long Memories, this 540 is better than new! Flawless impeccable design and exquisite styling throughoutsums up the 2012 540. She isready to take you onthat adventure of a lifetime! Room for the entire family and features that truely make it your home on the water. Wether it be fresh or salt water there isn't anything else like her. In fresh water and under cover! United Yacht Sales New Jersey would love to guide you through a personal showing of this 54' Sea Ray 540 Sundancer 2012. This yacht for sale is located in Atlanta, Georgia and priced at $799,900. For a showing please contact us by filling out the form on this page and we will get back to you shortly!